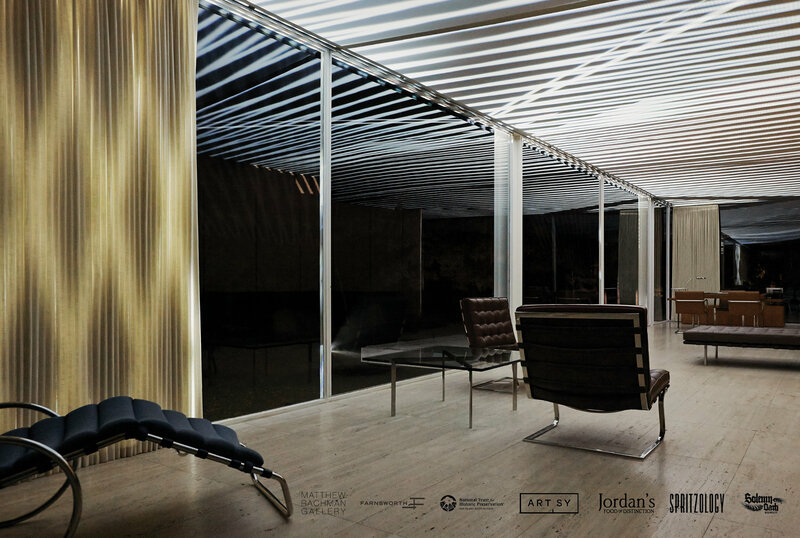 There will be an introduction by Dirk Lohan, award-winning architect, designer and grandson of Mies van der Rohe, as well as a discussion lead by guests of honor, Luftwerk. In addition, Matthew Rachman Gallery will feature an exhibition of Farnsworthian artwork from Luftwerk, Kate Joyce, Tom Judd, and more. 10% of all art sales will directly benefit Farnsworth House.